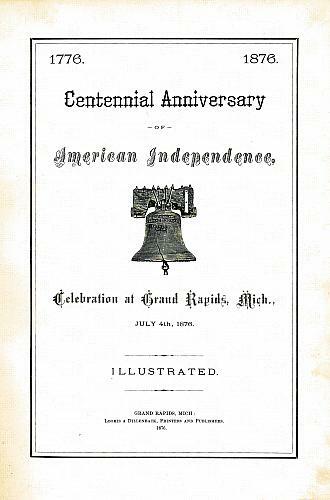 The title page of the thirty-four page book, illustrated with four engravings, shows a picture of the Liberty Bell, lists the date of July 4th, 1876, and the printer, Loomis & Dillenback of Grand Rapids. Title by cataloger. 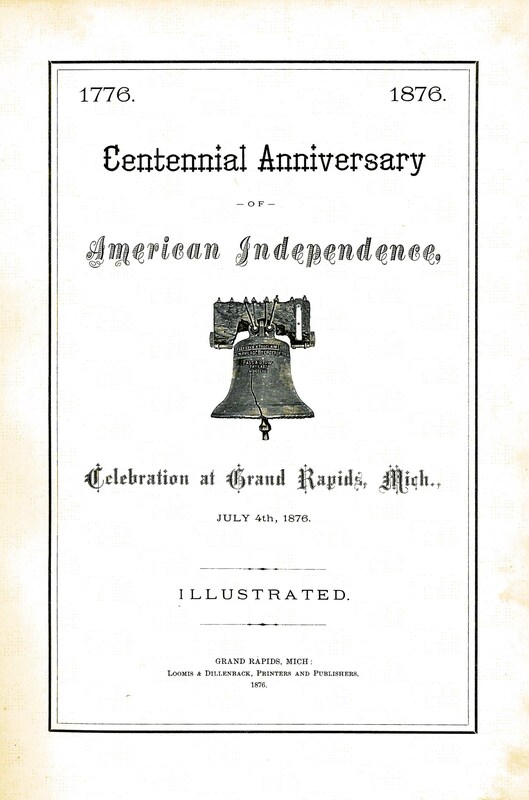 The story is that the Centennial Anniversary book was printed on a float in the parade during the celebration. So far, it is only a story with no verification.